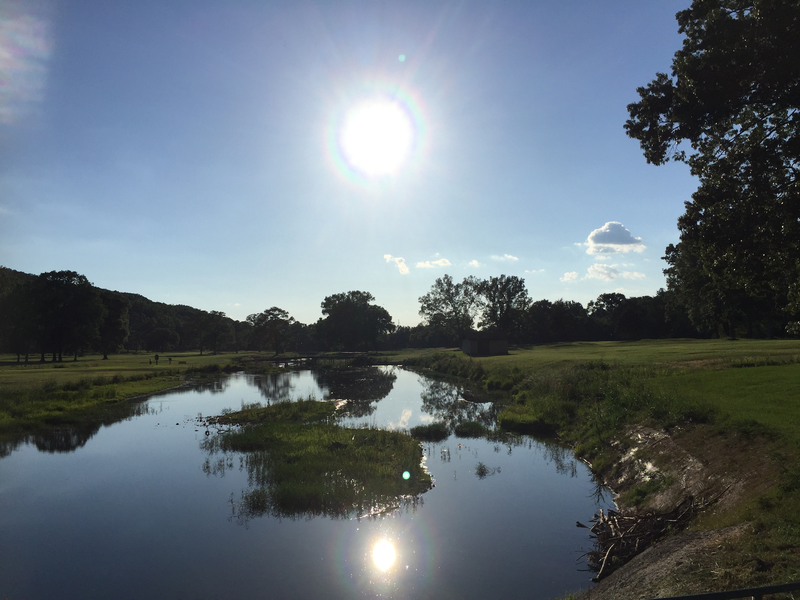 Today's post is a break from my usual "A Day in the Life. . ." series. This break is due to two reasons: taking time off for the holiday and working on a project I am submitting to the Federal Virtual World Challenge. Sure some of the people I am neighbors with on Farmville are people I know offline – one is even a best friend from high school. But there are also many who I have only known through our mutual use of virtual worlds like Second Life. I don't know all of them as well as I knew my best friend – the majority of people I know from Second Life are more like acquaintances and most are people I have never physically met. But other than the difference of meeting digitally vs. physically, there seems to be little difference from the types of relationships I have offline. I am normally best friends with only a few and acquaintances with many. Some I may only know by name because I hear about their work or see their name in the paper. 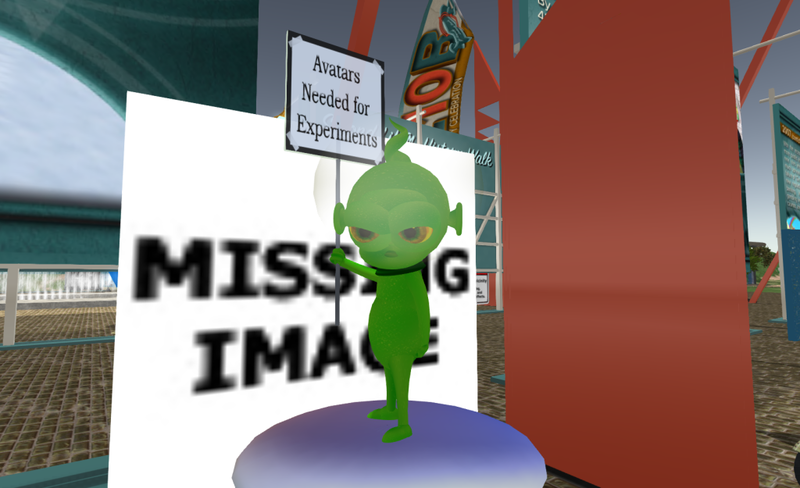 And this is also how I know of many in Second Life. 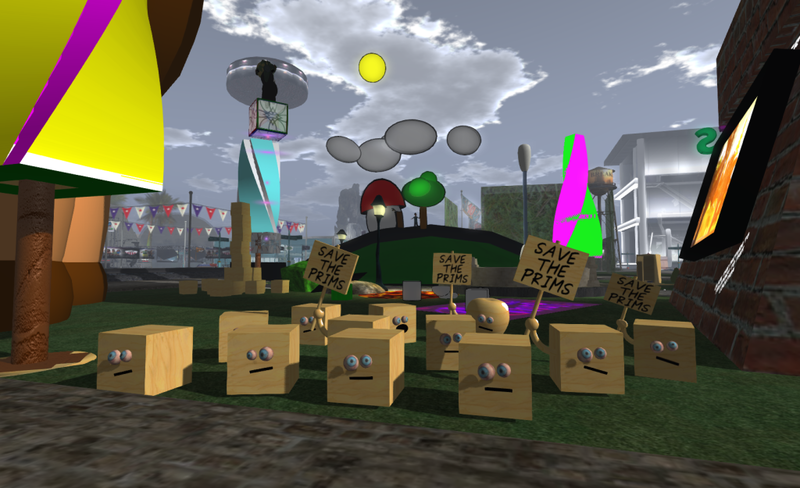 So it was with these thoughts I read several blog posts about the resignation of Kimberly Salzer (Kim Linden), former VP of Marketing at Linden Lab – the creators and hosts of Second Life. Two posts in particular ( Communications and the Lab. Again, by Inara Pey, and A Rosedale by Any Other Name… by Aeonix Aeon.) 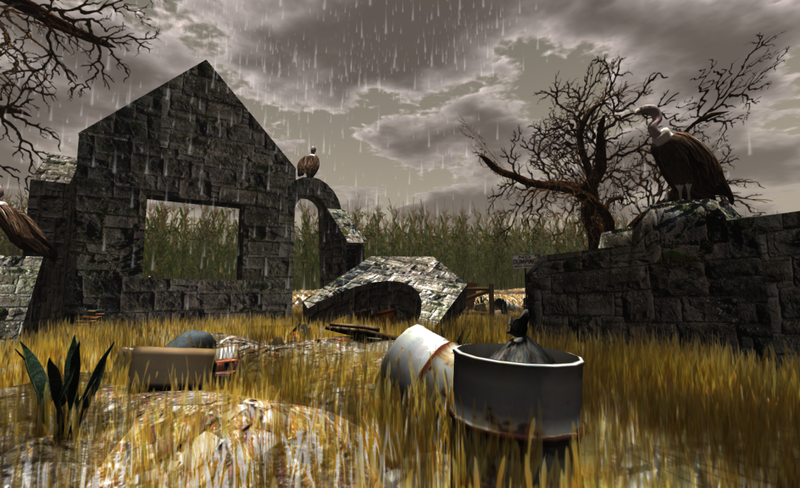 explored Salzer's work, her influence on Second Life, and why it seems that the people running the ship seem to have forgotten they have passengers. I agree with much of what they have observed and with most of their suggestions for improvement. Yes, Linden Lab needs to come to the realization they have created an actual place that people depend on for meeting people, learning, having fun, hanging out, and for some, earning an income. Second Life is not a game any more than Chicago is a game because the Bears, Sox, Cubs, Bulls, and Blackhawks play games there. In a way, the company reminds me of a parent who had such great hopes and dreams for their child to grow up and fit their mold of the perfect child. But the child grew up and become their own person with their own hopes and dreams that were much different than what the parent had planned. And now the parent is in denial or at least agitated. They don't seem to know or recognize this person who came home for Thanksgiving. At times, they don't know how to treat them. And the big question is will they accept the fact that the future of their child is not entirely under their control or will they, like some parents who fall into this trap, spend their time trying to convince their grown-up child that the parent will always know what is best for the child? As caretakers of our communities, those of us who are public servants can also fall into this trap. We can think that our idea of how the community should look, operate, or function is best. But the citizens might think very differently. And this group vision can change over time. This is why we have a structure in place to manage the operation of our communities and why we regularly update strategic plans and create new comprehensive plans. For a few years now, I've often thought the system we have in place in local government would work well for Second Life. 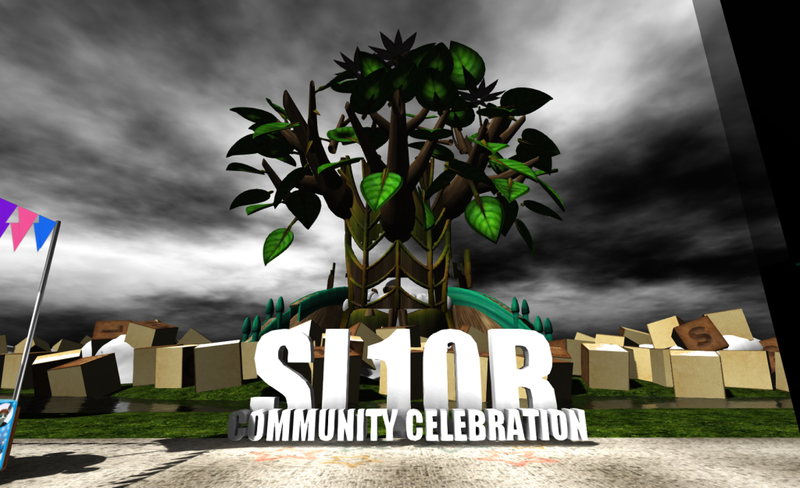 There is such a similarity between the community that is Second Life and the community in which we physically spend time. So I have been waiting for Linden Lab to see this same comparison. And yet they have not. And I wondered why. I started thinking after reading the posts today that most people probably aren't intimately aware of what exactly goes on in government. In fact, based on recent articles in newspapers, people probably get the impression that nothing really gets done by government – there's only a bunch of lazy, uneducated, not-good-enough-to-get-a-job-in-private-industry people sitting around doing nothing at all waiting to retire to collect a fat pension. Yet, nothing could be further from the truth. There's a whole system in place for managing communities that's been developed over thousands of years. Is it perfect? No, because communities are people, and people are not easily managed, but the system works most of the time. We all are supported by our local governments, and most of us provide this support so well that people have forgotten we are even here working for them 24/7. So maybe the Lab doesn't seriously consider this as a solution because they just aren't familiar with it. So, I'm adding my voice to the others out there offering suggestions to the Lab. And I've laid out below a beginning framework of operation based on how we manage physical communities. And because the digital space has some challenges and issues unlike many we normally deal with, the framework would have to be refined over time. In the end, I figure this structure could fit within the structure of a private business like Linden Lab, and it can't do any worse than the current setup. Here is a brief description of what I was thinking about the basic function for each. Chief Adminstrator – this is normally the city manager who provides the overall structure and leadership for the team. This person also makes sure the team is working towards meeting goals set by the strategic plan and doing so within budgetary limits. For Second Life this would be the CEO (Rodvik). Community – this is the most important part of the structure because without a community there is no reason for this organization. For Second Life, this would be all the users/customers. Community Board – this is normally the elected body chosen by the community to represent their interests in management of the community. 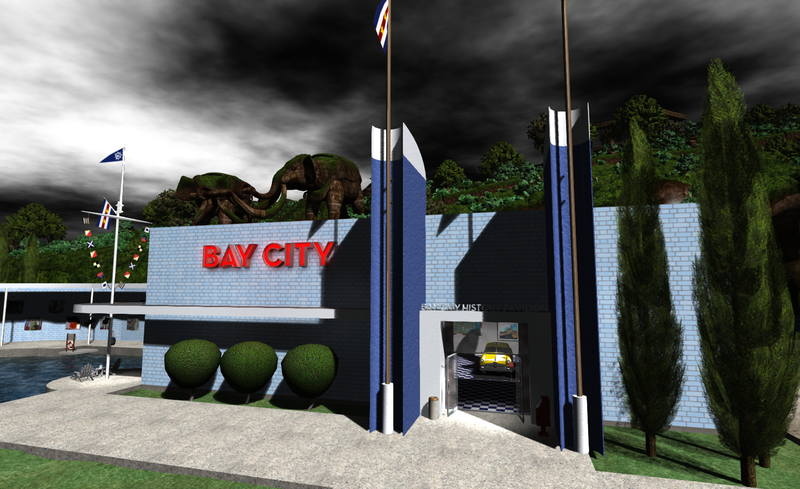 For Second Life, I would suggest that the community be divided into regions based on what would make sense to the users. Some suggestions are: mainland, private land, adult land, etc. And then allowing premium members from each region to vote for their representatives to serve on this board. Based on offline experience and current in-world active population, I would also suggest limiting this elected board to 20 members with 2 from each region and a term of 2 years for each. Of course, because Second Life is a private company, not an actual government, this board can only serve in an advisory capacity. Legal – the function of this office is straightforward and probably already in place at Linden Lab. However, perhaps this department could be expanded to offer services to the Premium members of Second Life. There's such a large group of users who are developing new content and products, perhaps a small office to offer advice on the legal aspect of trademarks, patents, and business would be helpful. Finance – the function of this office is also obvious and also probably already in place at Linden Lab. Based on feedback from users, I would only suggest beefing up the customer service aspect. Perhaps adding a 311 type center that would not only deal with billing but all "citizen" service communication would be helpful. I realize Linden Lab must already have something like this, but patterning it off the 311 system might help improve its operation. Communication/Public Relations – again, the Lab must already have something like this – perhaps it is their marketing department. It just seems that they could do more not only in-world, but in the physical world. Human Relations – another typical office that is most likely already in place at Linden Lab for personnel and other employee issues. Community Development – in local government this office helps carry out the community plans, helps develop policies, oversees building and development within the community, enforces zoning and other policies. These functions could be applied to the world of Second Life. We've already seen that zoning was eventually needed and applied. We also already have "building" policies and requirements that need to be enforced. 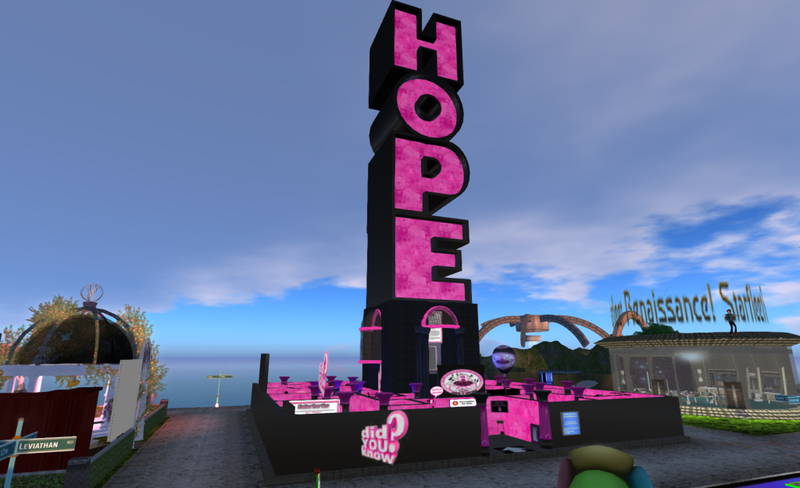 I think most people who have used Second Life for quite some time would easily see how the work of this office could be implemented in-world. And they'd probably have some additional suggestions for this office. Economic Development – like in our physical world, the economic growth and success of the community is vital. In local government, this office acts a liason to business, analyzes business and tourism within the city, supports local businesses and those looking at setting up a business. And the office promotes tourism and marketing of the community. Staff can also oversee events and act as a liason and offer support for groups hosting events in the community. Again, I think most residents of Second Life could easily see how the work of htis office could be implemented in Second Life. Public Works – of all the departments in local government, this is the one that would be the least similar in its application to the virtual environment. In the physical world, public works provides and maintains physical infrastructure like roads, water, sewers, and electricity. But there's no need of these things in a virtual environment. Instead there is hardware and software supporting the operation, access, and management of the world. And there is the in-world infrastructure already created and maintained by the existing Linden Lab Public Works department. Education – this office is not always a function of local government. 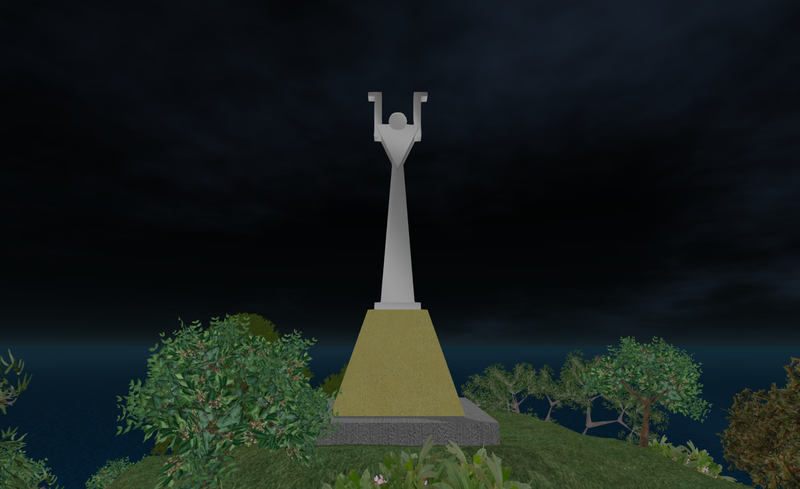 However, because of the needs of the users in Second Life, it does seem that it would be a beneficial office to maintain. It would support training for Lab employees as well as education of users. This is probably already a function in place at Linden Lab. An office for outreach to educational efforts on the grid and educational institutions operating in the physical world would also be useful. 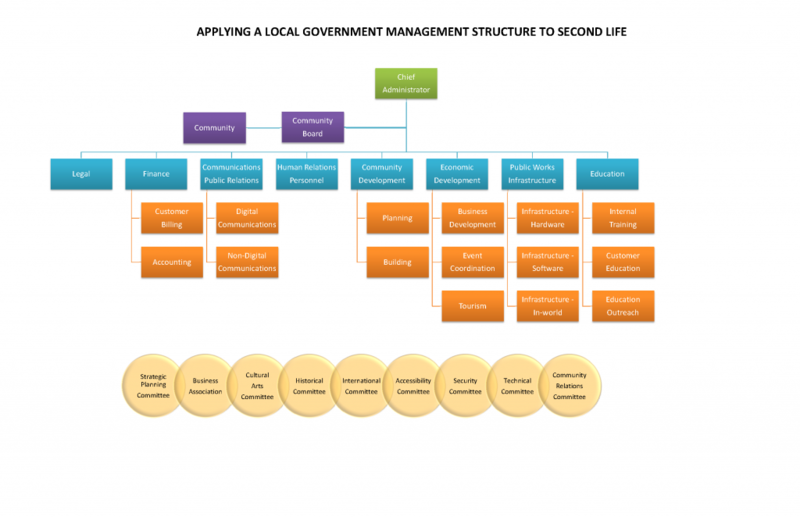 Citizen committees provide an important function for local government. They can help focus community interest and efforts and help advise management. Committees would be helpful in Second Life, and there is already somewhat of a structure in place in Second Life to work with. I've listed a few committee suggestions, but I'm sure the users of Second Life would have other suggestions. It would also be helpful for the Lab to offer a small budget for each committee to help them carry out their goals. Another important process used by local government is to hold public hearings to help develop strategic plans, comprehensive plans, zoning changes, fee changes, etc. Public hearing feedback is normally advisory in nature, but can help prevent development of bad policy and unsuccessful projects. Of course, I realize Linden Lab will probably never implement this, but I figured it was worth a shot at putting it out there for discussion. Several months ago, I read some blog posts about frustration with Gov 2.0 not doing enough and a few other posts with offers from people interested in working for free for experience. The two seemingly unrelated topics got me wondering: How could our city use Gov 2.0 to offer job opportunities to people just looking for experience and also offer opportunities to citizens interested in participating in government? My thoughts drifted to the projects I’m working on at my job. And I wondered if our city could reach out to these people with the use of Gov 2.0 tools to help us complete some of our projects. One particular project rose above the others as a perfect candidate – the creation of a database documenting all properties in which the city holds some interest. It seemed possible because all the research could be done online by anyone with a connection to the Internet. Fortunately, my supervisor and city administrator were fully supportive of implementing this idea. And even better, an intern working for us who is a public administration graduate student was able to partner with us to set it all up. While we were planning the project, I noticed a post on GovLoop written by Dave Briggs: The need for micro-participation. It seemed to discuss exactly what we were hoping to do. His post and support of the idea of micro-volunteering inspired me to finish setting up the project. After it was complete, we took some time evaluating it. After getting some great input from everyone, the project became an adventure of discovery with a Viking theme complete with a Viking figure donated by our wastewater division staff. Now anyone can join us on a discovery of property. And people can even earn titles and rewards as they successfully complete documentation of areas. You can check out the site here: The Geneva Land Adventure. People are usually surprised to discover that local governments have a significant number of interests in real estate or property. These property rights can be held in the form of deeds, dedications, easements, rights of way, or licenses. And, depending on a government agency’s size, the number of documents conveying these rights can range from hundreds to thousands. What also surprises people is that agencies most likely do not have a property database in place to document and manage the property rights associated with these documents. When I started working at the city of LaSalle in 1993, I figured they didn’t have this in place because they were somewhat of a small community with a population of about 9700. So I got to work building the database and putting a management system in place. By the time I left in 2009, I had discovered about 300+ properties in which the city had some ownership right. What I’ve since realized from talking to others in government is that many cities lack a property database. Based on my experience in LaSalle, I have developed a process of building the database and putting in place a management system. One of the first steps is to discover all the documents in which an agency has property rights. But this task can take significant time. Since starting a new job with the city of Geneva two years ago, I’ve been working on setting up the system here. Fortunately we already have most of the property held by deeds in a database created by the county tax assessor. But this information needs to be verified and all the other documents covering easements, licenses, dedications, etc. need to be discovered. Some might wonder if it’s so much work, why bother. Well, in government, ownership and property rights come up frequently throughout the day. Most activities that go on in local government, particularly in public works or property maintenance, involve the need to know what can be done where. If a database does not exist, research must be done each time a question about rights or ownership comes up. With a completed database and GIS, the answers are much more readily available. There are other benefits, but to keep it brief, the bottom line is having the database saves time and money which is always a good thing to achieve in government. Last month I had the incredible opportunity to participate in several Gov 2.0 events. One of the greatest take aways for me was finding all the people who are either working directly on the Data.gov project or involved in related initiatives. Data is a big deal for local government – particularly for those of us working in engineering and public works. We spend significant amounts of our time developing, finding, analyzing, juggling, and publishing data. We do just about everything to it but eat it! And while I had been aware of the Data.gov site, it wasn't until I met and talked to all these people that I realized its significance and promise. Today, the front face of the site is a publication platform, but someday it could be leveraged on the back end as a collaborative platform for sharing ideas about data development, priorities, standards, education, and guidance. A group of us working for local governments in our region have started trying to crowdsource and standardize our datasets so we all follow one model. But we realize it would be so much better if this could be done on a national scale. We know that ESRI has offered some guidance in this area, but as government agencies, it makes more sense for this direction to come from the federal government. We need to start realizing that data is a national asset. Data not only supports security efforts but it offers tremendous opportunity for economic development. The use of Data is already starting to build a new industry; leveraged, protected, and standardized it will move this growth along and sustain it. 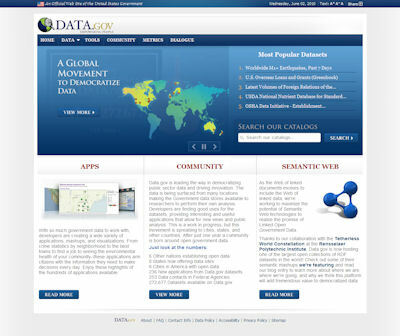 We could use space on the Data.gov site to crowdsource a national data model for all datasets we use. The majority of these datasets are going to be similar for all local governments. Why not get this worked out now? I realize a lot of cities already have their GIS and other data systems established – they do not have to change to a national model if it does not make sense for them at this time. But many local governments still do not have a GIS or other data system in place. Having a data model will at least encourage them to implement a system faster and more efficiently while allowing for standardization. This idea of prioritizing data development could be expanded to a national scale. If certain data sets are necessary for national security or encouraging economic development, we should work on developing them over sets that are interesting but not necessary. But only by asking people and crowdsourcing that information can we learn what matters most. There is a lot of discussion online about how important it is to not just publish data but help others use and understand it. This educational component could be added to the Data.gov site allowing others to learn how to develop, use, and publish data. The material can be broken down for citizens, developers, government agencies, students, and businesses. Open Government: A New Type of Reality Show? There’s been a lot of talk lately about open and transparent government, public data collection and distribution, and freedom of information. People are excited about online tools that allow for sharing of data. And politicians are eagerly answering the cries for open government by passing new FOIA laws and demanding data sets be released online. But back behind the doors of city hall, those of us working in government are a little more cautious. Even though most support an open and transparent government, many are concerned over the delivery. We see the potential for all this to turn government into a new type of reality show. Mark Drapeau recently posted an exploration of always-on government that hints at this type of situation. So how can we deliver relevant information to the public while maintaining and maybe improving the dignity of government and its people? One of the first steps is to decide data collection and delivery for public use really should be a function of government. Government traditionally provides public safety and public works and does so under a set of state and federal laws. These same laws regulate what local government can and cannot do. If government is to elevate data to the same level as a utility, this needs to be a public decision supported by legislation. President Obama’s declarations and mandates coupled with a public push for open government should facilitate adoption of this first step at the state and local levels. Names of those delinquent or late on paying water/electric/sewer bills. Names of those who have submitted a check or credit card payment and had notices of insufficient funds or late payments or credit card denials. Names of those paying property taxes and date by which their payment is made. Driver’s license numbers and vehicle license expiration dates with names and whether they were paid on time. State income tax returns with names, income, etc. Should government blindly release all of this data to anyone? Some states like Illinois have already decided. In typical non-Gov2.0 fashion, legislators passed a new FOIA law that goes into affect Jan. 1, 2010. It requires government to release just about everything including a lot of the information listed above -even if the request is made anonymously. One exception to note is data that would compromise someone’s safety. But should an “in-the-trenches” employee have to make the decision about which data compromises someone’s safety? Absolutely not. Instead there needs to be clear guidance on what data should be distributed. In Illinois, this guidance could have easily been developed using Gov 2.0 tools with input from the public and government. Instead the reality show for Illinois government begins Jan. 1, 2010. So back to our open government plan: after choosing the type of data, the next decision involves the standards by which each dataset is collected and the formats in which it is distributed. Here is an example: government already collects the number of vehicles traveling along a roadway on an average day. How often should this collection take place? Once a year, every day? Should we collect the type of vehicle? It’s color? Should this collection take place on all roads? The point is there is an endless amount of data to collect, and not all of it would be relevant or worth collecting. A standard helps find the most efficient and beneficial method. And a standard ensures someone can compare data across all agencies. A national standard would help create meaningful sharing and comparisons, and the federal government is best poised to develop this standard. There are signs that federal agencies are working in this direction and taking a more considered and thoughtful approach than what was done in Illinois. But at this time, federal agencies are more focused on delivery of their own information. There needs to be an initiative by state and local governments, with guidance by the federal government, to bring this open government plan down to our level. Find a Way to Pay for Data Collection & Delivery! “We people don’t care…Just do it..
As someone working in government I understood what neogenesis meant: filling one request can shut down your whole department taking up tax dollars that could be spent delivering other services. And this is caused by the request of one person. Unfortunately the simple quote does not adequately convey this to someone who does not work in government. This lack of understanding of the scope is shown in the response by BobJudd/Chatham who indicates no one cares about the time involved. Then BobJudd/Chatham goes on to express a typical misconception the public has about government – that we are spending our whole day trying to hide information. These types of exchanges fit right into the reality show mentality and do nothing to ensure successful delivery of a truly open government. Over the next month or so, I believe agencies will come together in an effort to develop an open government plan that can be implemented at the local level. If you have thoughts on this issue, feel free to share in the comment section below. And I encourage anyone interested in working towards this effort to stay tuned as we try to turn this reality show into a documentary.